Insert data to issue or reprint receipt. 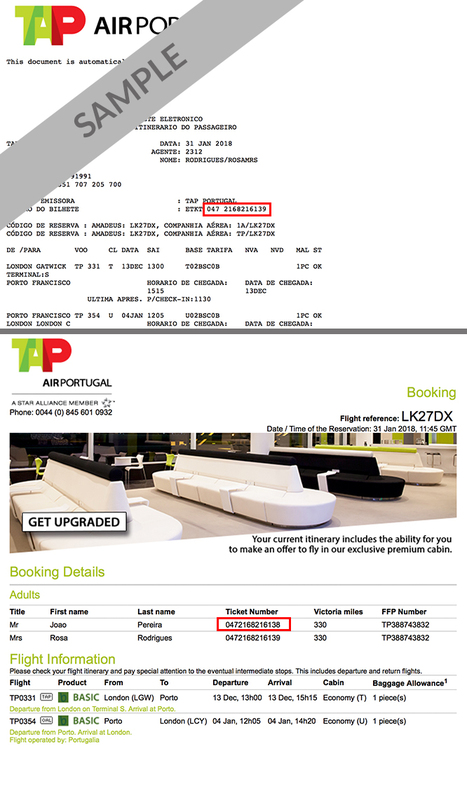 Only valid for Tickets issued directly with TAP Air Portugal. To clarify any possible doubt please contact fatura@flytap.com. © Copyright , TAP Air Portugal. All rights reserved.